But before the festivities begin, there’s the important matter of The Reindeer Flyover, an ancient tradition of The Reindeer Flying Academy that marks the end of school term. But Rudi might not be able to fly. He has injured his hoof and refuses to see Doctor Kloppen. Rudi is terrified of needles and, rumour has it, the Doctor’s needle is the size of a rocket! Meanwhile, Ronaldo meets celebrity baker Mrs Sorensson and offers to deliver her cakes to ‘Carrot’s ‘N’ Cakes’ bakery before flying school. 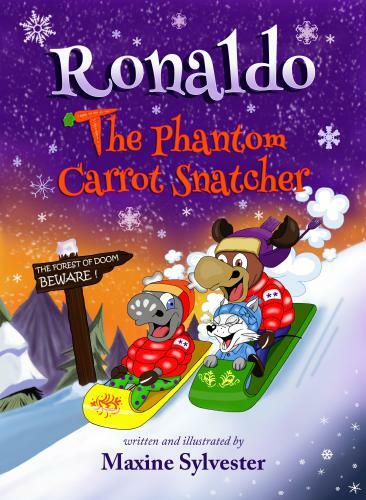 The weather is hot so Ronaldo rushes through the forest so he can deliver the cakes before the icing melts. But trouble is lurking in the woods. Dasher and his menacing brothers, Comet and Prancer, are hiding in the bushes. Waiting for Ronaldo! ... though aimed at a much younger audience, are a perfect fit for the adults who are still in touch with their younger self.